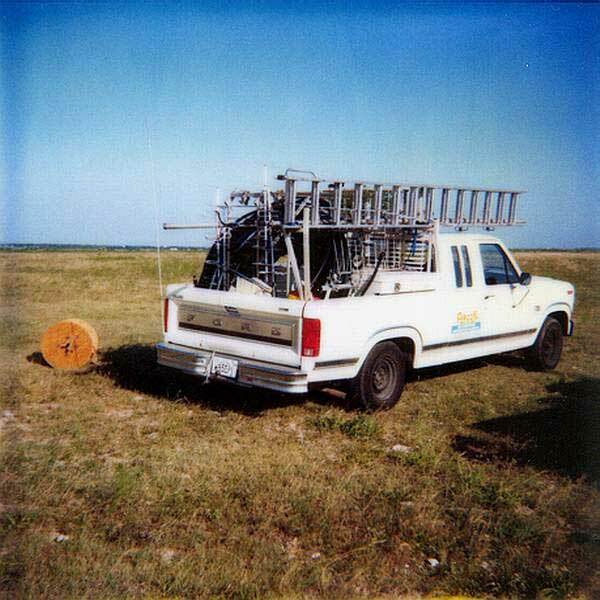 This picture shows Merle Taylor's (WB5EPI) truck full of all the antennas and feedline just before being unloaded and installed at the Moody site. EPI's truck suffered a short circuit in the wiring on the trip to Moody and almost didn't make it. Image taken July, 1984. 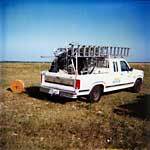 Another view of WB5EPI's truck. Image taken July, 1984. 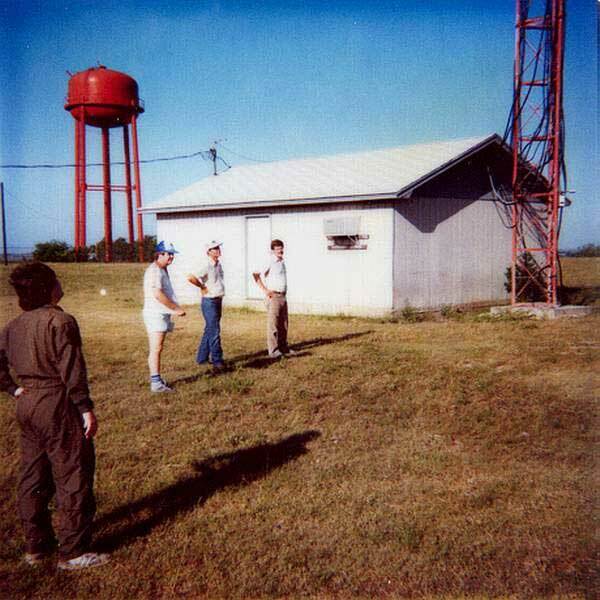 This picture shows, from the left, Felix Kneuper, WB5NED, Jim Reese, WD5IYT, Steve Bosshard, NU5D, and Bill Ripley, KY5Q in front of the radio building prior to the start of the original installation at Moody. Image taken July, 1984. 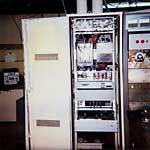 This picture shows the front off the Moody rack after Jim Reese, WD5IYT, Chuck Adams, N5UN, and Johnny Stigler, WA5ZRQ, spent about 10 hours re-racking, re-cabling, and generally cleaning up the original install done in July, 1984. 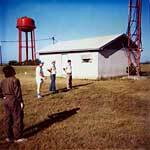 In the left background is WA5ZRQ's Cushman service monitor. 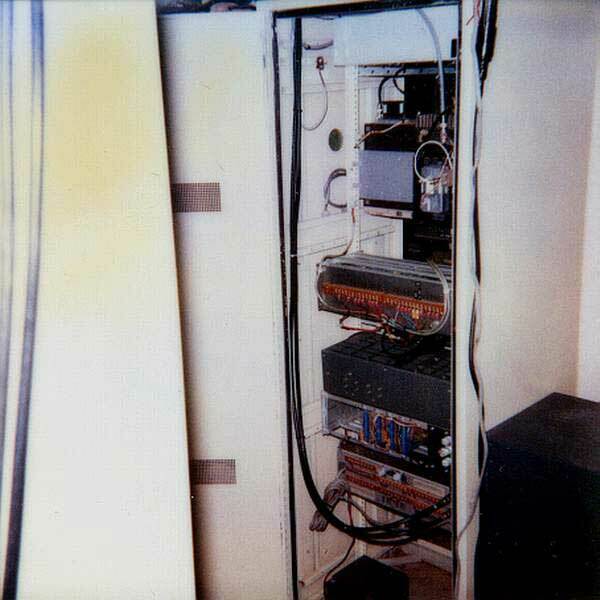 Visible from the top down is the 220 MHz repeater duplexer (on top of the rack), 440 Wacom repeater duplexer, a Johnson 420 MHz link radio with duplexer on the left, a Johnson PPL-6060 UHF radio on the right which was the original 443.975 MHz N5FL Moody repeater, the controller rack, a UPS switch-over and battery charge system for the controller built by Chet Swafford, KA5TQQ, and the 220 MHz repeater. 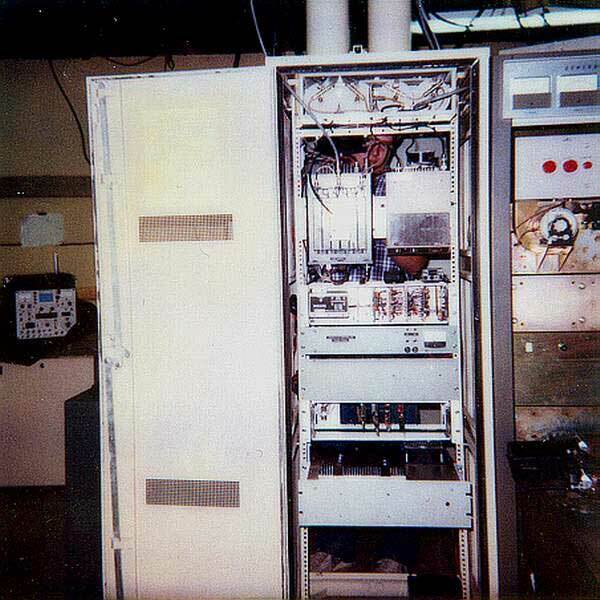 The 220 MHz repeater waas removed several years later to free up a controller port for another link radio. Image taken March, 1985. 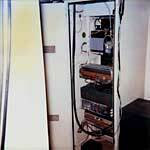 This picture shows the back of the moody rack after WD5IYT, N5UN, and WA5ZRQ spent about 10 hours re-racking, re-cabling, and generally cleaning up the original install done in July, 1984. 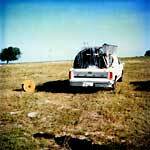 A description of the equipment appears in the caption of the photo above. Image taken March, 1985.